Yard sales are an easy way to make extra cash fast from the comforts of home, or a friend’s home if you join forces. Having a yard sale takes a bit of work up front but the result is a house with less clutter and a wallet with more money. That’s a win win situation! 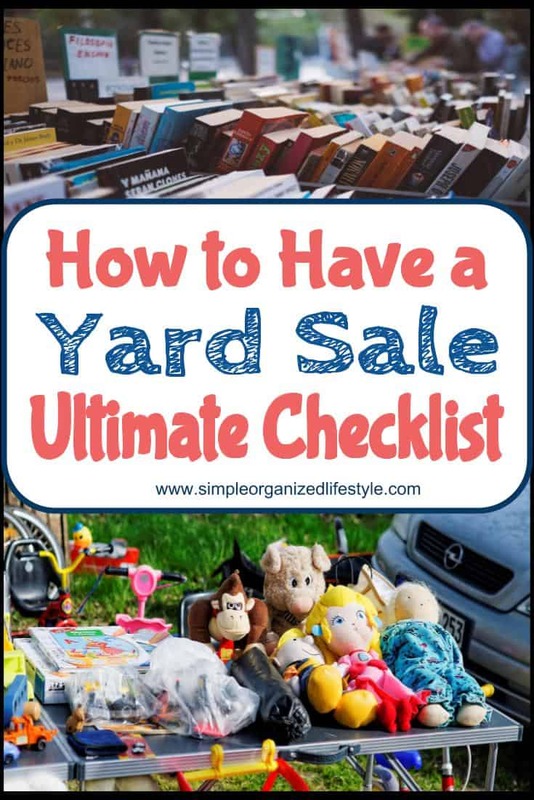 I hope you find this checklist helpful as you have a yard sale to make extra money and declutter too! When is the best time of the year for a yard sale? There are pros and cons to the different seasons but generally spring and late summer are the more popular times for yard sale enthusiasts. What can you sell? Can you sell bras and underwear at a yard sale? Underwear… unless they’re brand new in the pack (like a gift from mom) then no. Bras… One time I put bras in a box and put $.50 each on the box. My husband bet me that I would not sell a single one. I took him up on it and one entirely empty box later, he owed me dinner. I’m always surprised by what I think will sell and what actually does. What’s the average yard sale profit? It depends on how much and what you have to sell. If you’re having a small yard sale with mostly clothing, the average profit will probably be $100 or less. If you’re having a big yard sale with a variety of items, including appliances and furniture, you could make as much as $1000. How much do you sell clothes for at a yard sale? The average range that people will usually pay for clothing at a yard sale is between $1.00-$5.00. You just won’t find many people at yard sales who are willing to pay much more than $5.00 for a piece of clothing unless it’s brand name jeans, a dress/suit, or nice coat. You can usually get more for clothing online using eBay or Poshmark or by selling at a consignment sale. What do you do with stuff left over after a yard sale? I either store it for the next yard sale or donate it to a local thrift store or charity. If I have something stored that doesn’t sell after two yard sales, it is donated or thrown away. There are some people and places you can find online (through local FB groups or Craigslist) where someone will come pick everything up for you. Why not just donate everything to begin with? Definitely an option and a great way to get a tax deduction. 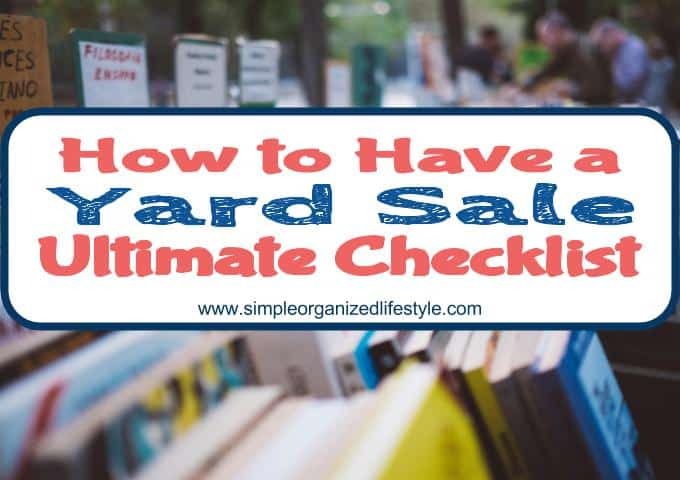 I like having yard sales because they do well in my area and it’s a chance to make some extra money for a special savings goal. Please feel free to leave your yard sale tips and tricks in the comments and good luck with your sale!